Stay warm, stay mobile. 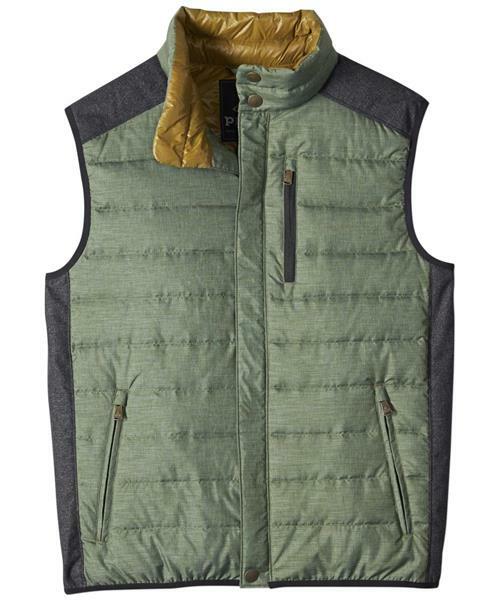 The Gram vest makes it happen with weather and water repellency combined with plush down insulation. Quilting offers classic trail style, while Lycra binding at the armholes offers helpful stretch comfort. You'll find loads of storage here too, with pocket systems for your gear, gadgets and the day's plans.